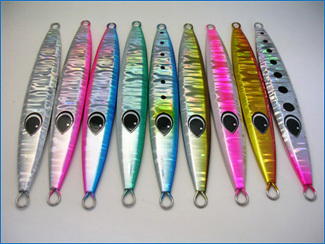 A rod that pursues better jerk (irregular) motion, drawing on vision for moving bodies as the baiting system, mimicking the style employed by Kei Hiramatsu when fishing for Kingfish. 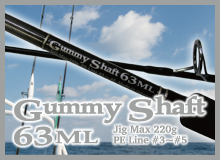 Fully utilizing its 6.3 foot length, the irregular flight of the metal jigand the “pause” inserted when baiting opens up the potential for aggressive jig work. 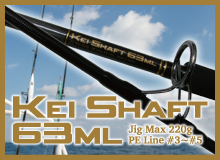 Introducing a new concept jigging rod by Kei Hiramatsu, the Kei Shaft 63ML. 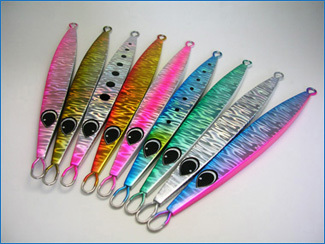 The Kei Shaft 63ML is an ultra-fast taper rod allowing for pin-point hooking for the type of short bites taken by Kingfish and Yellowtail on jigs, while the extra sturdy base helps reign in Kingfish on the run. 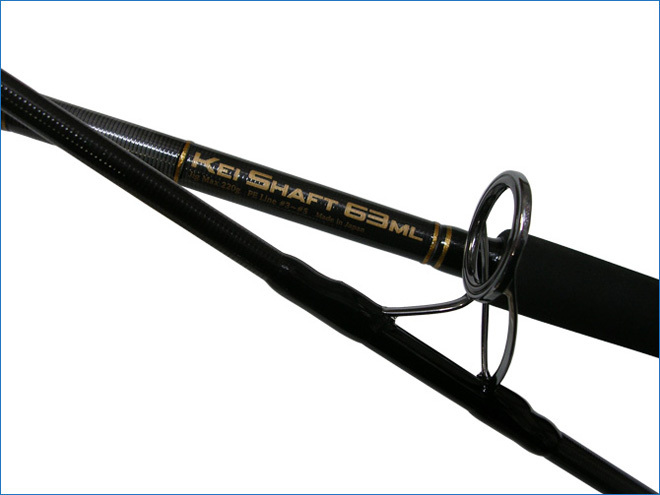 This design – the Kei Shaft 63ML – features a longer rod and half rod split design to allow for greater peace of mind when taking it both inside the country and abroad. 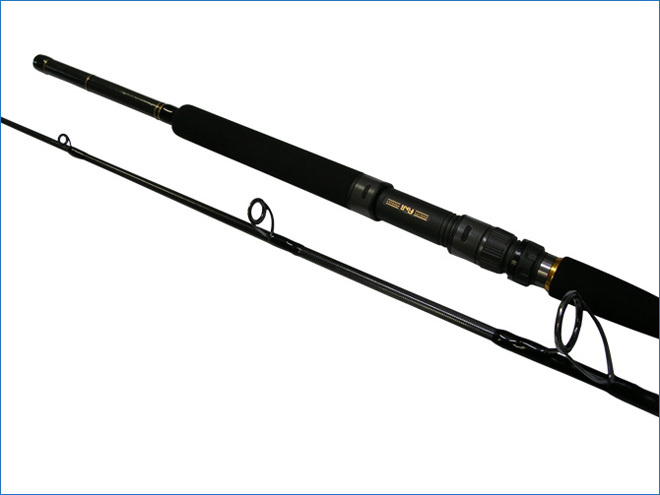 Any size fears have been allayed by keeping packed pole dimensions to 121 cm. Naturally, repeated sturdiness and operability testing by Kei Hiramatsu himself have also given the all clear regarding rod durability. 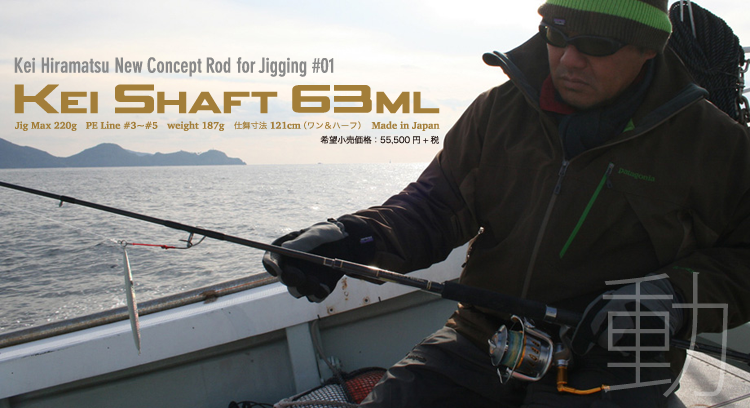 Experience the new concept rod “Kei Shaft 63ML” and feel the difference that all the essential elements of a modern style of jigging make.